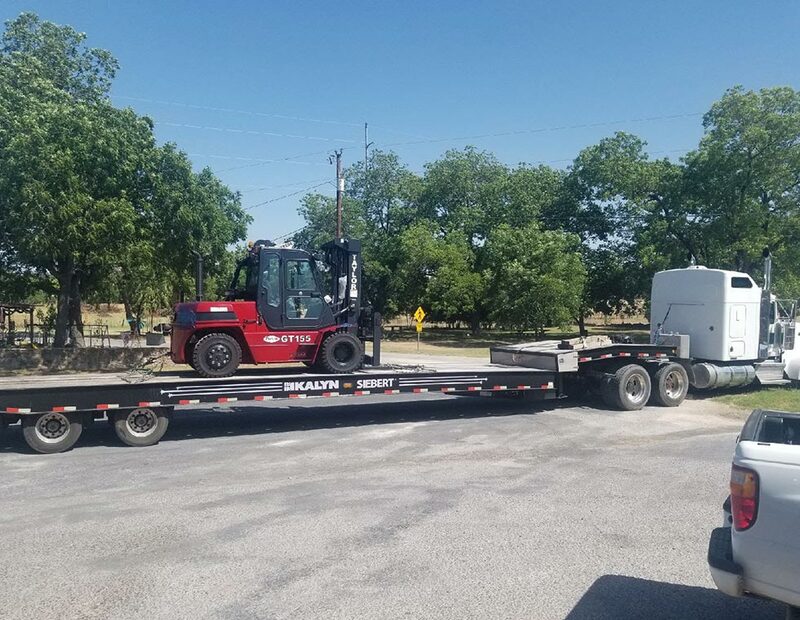 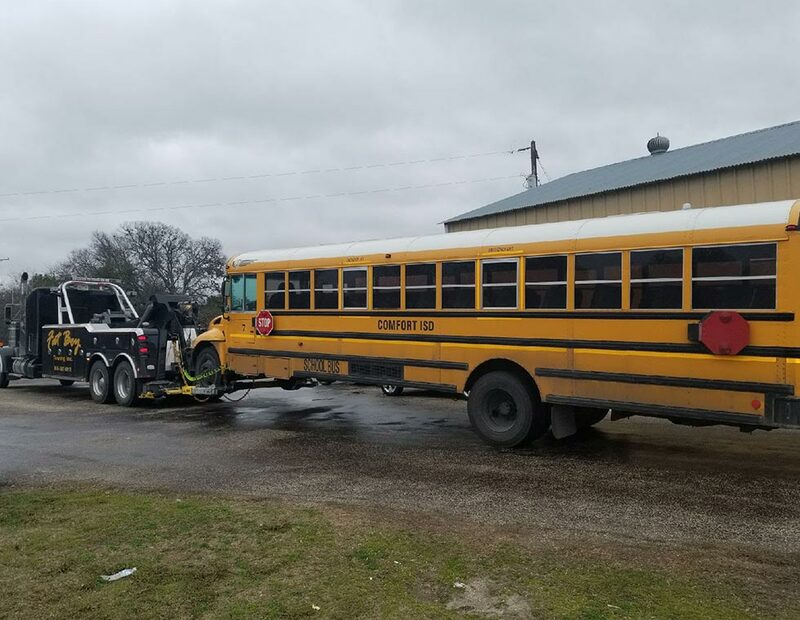 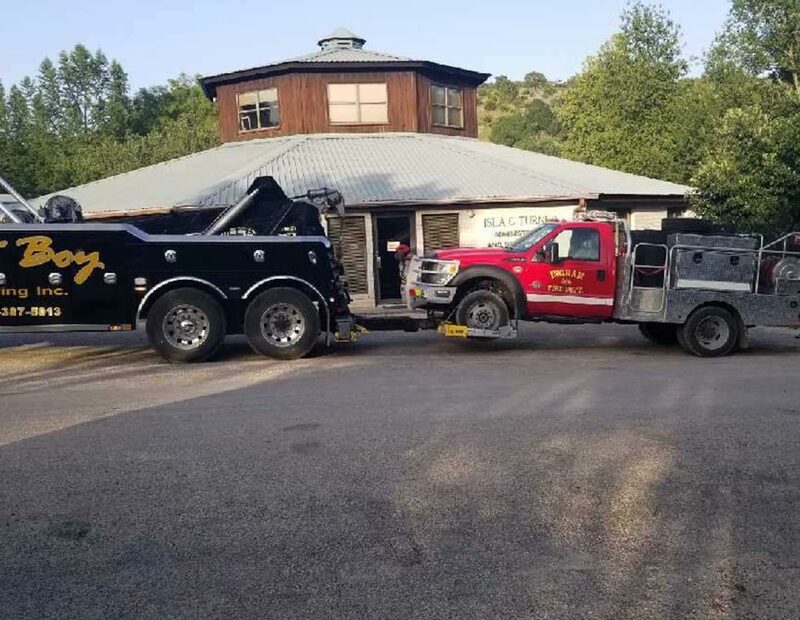 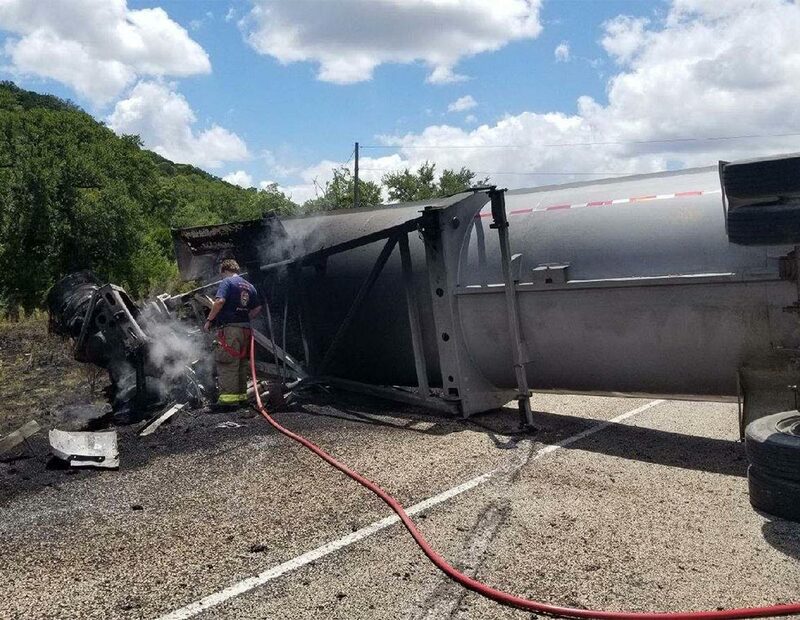 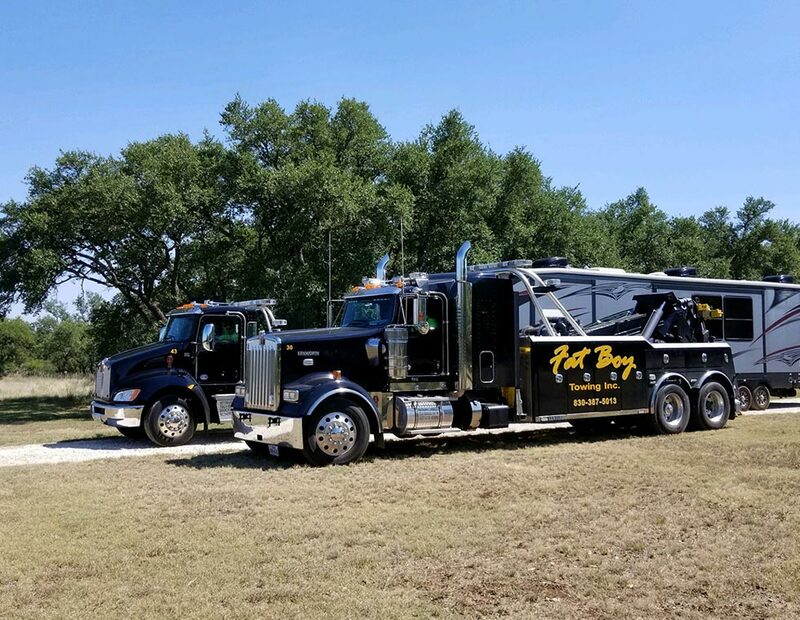 For over two decades, we have brought the good people of Texas Hill Country the quality towing and transport services they deserve. 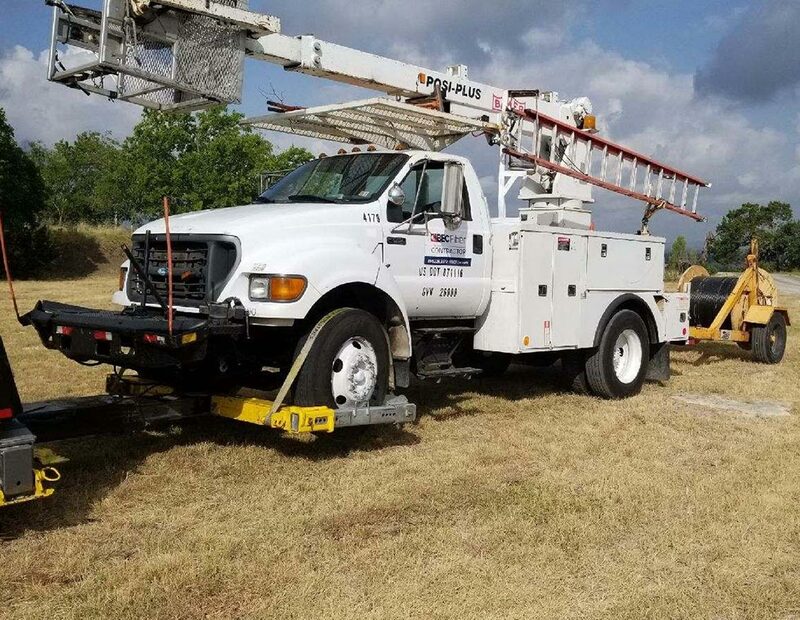 Our success is a testament to the fact that we have loyally served our community, day in and day out, throughout our career. 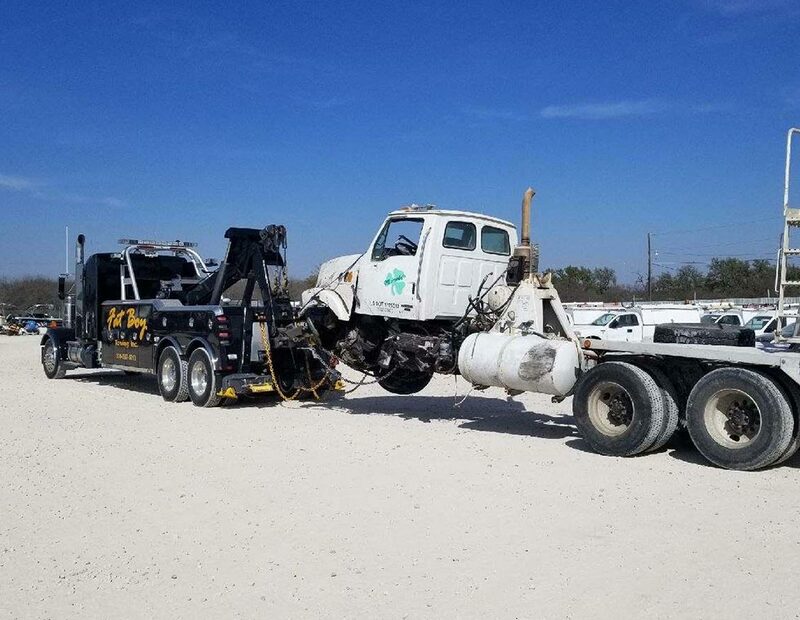 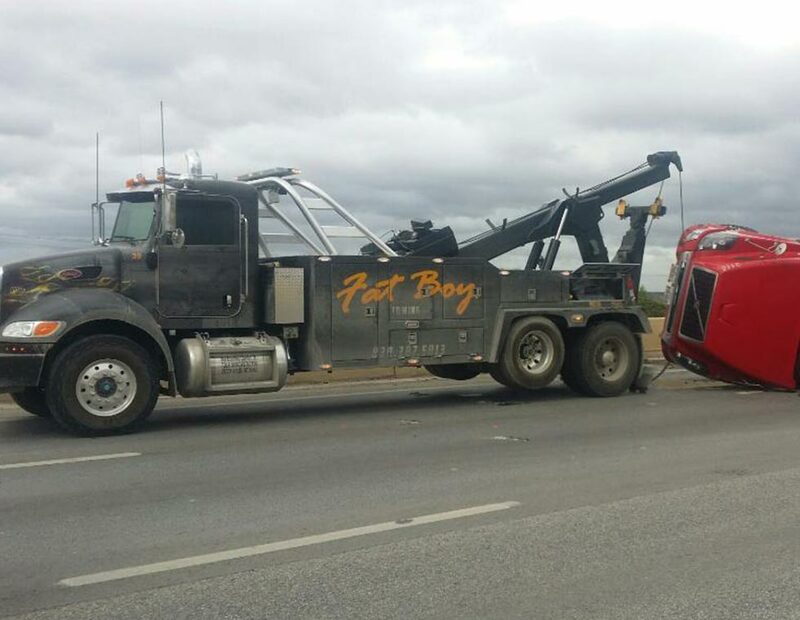 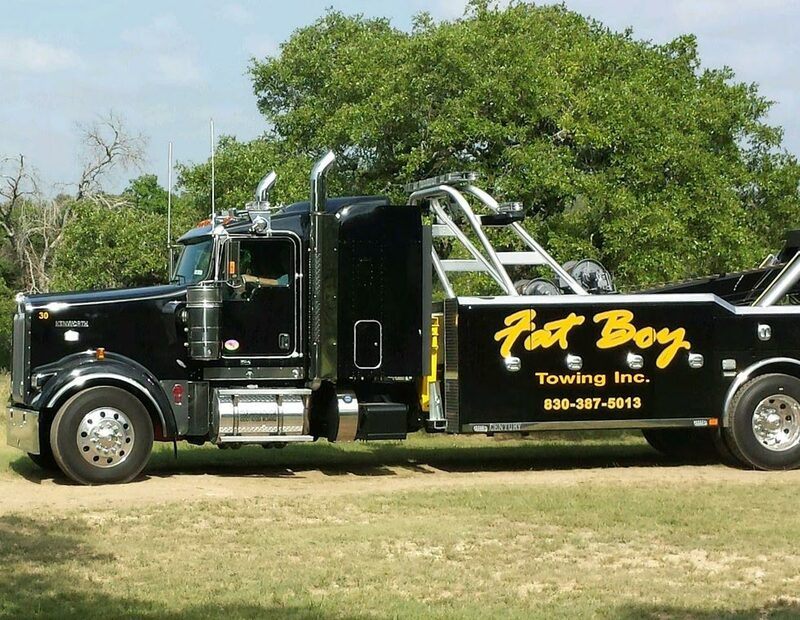 Fat Boy Towing and Transport is a comprehensive towing service provider serving the greater Texas Hill Country area. 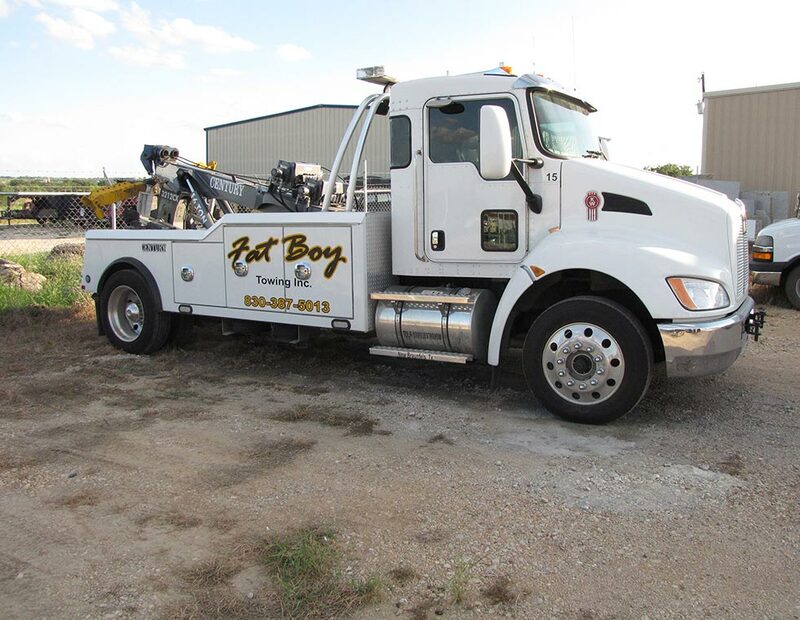 In business since 1995, we have dedicated our careers to providing quality towing services to our valued clients, changing alongside an evolving industry to make sure we provide cutting-edge service without sacrificing our commitment to quality customer care. 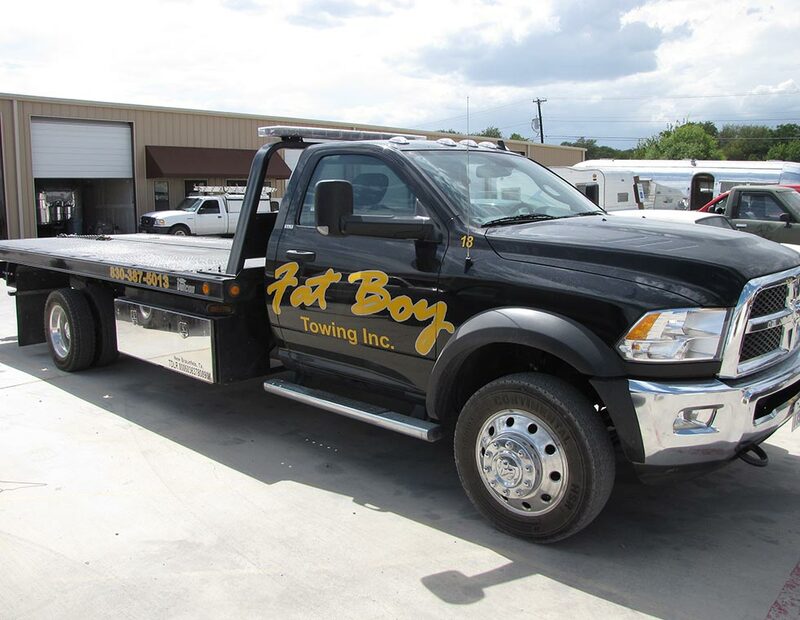 When you call Fat Boy, you’re signing up to work with the best of the best. 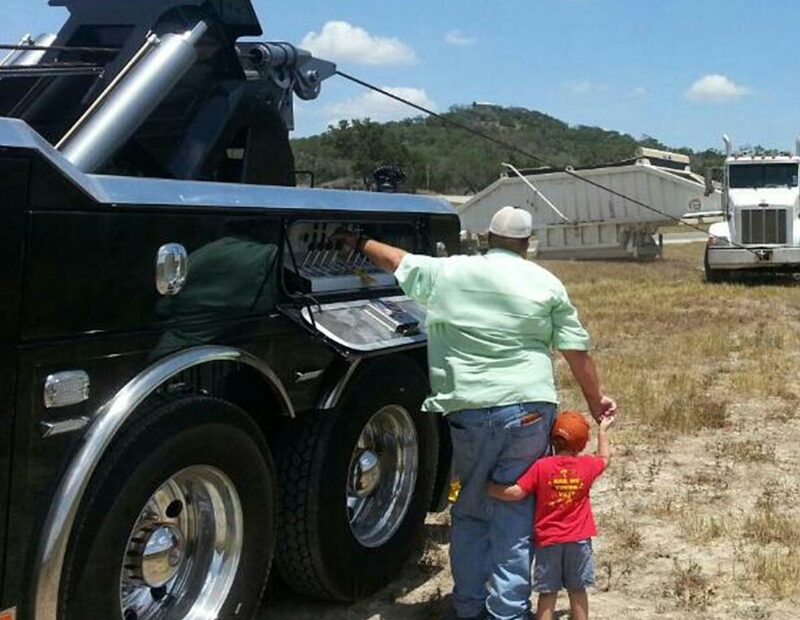 We’ve been a family-owned and family-operated business for the 23 years we’ve been serving customers. 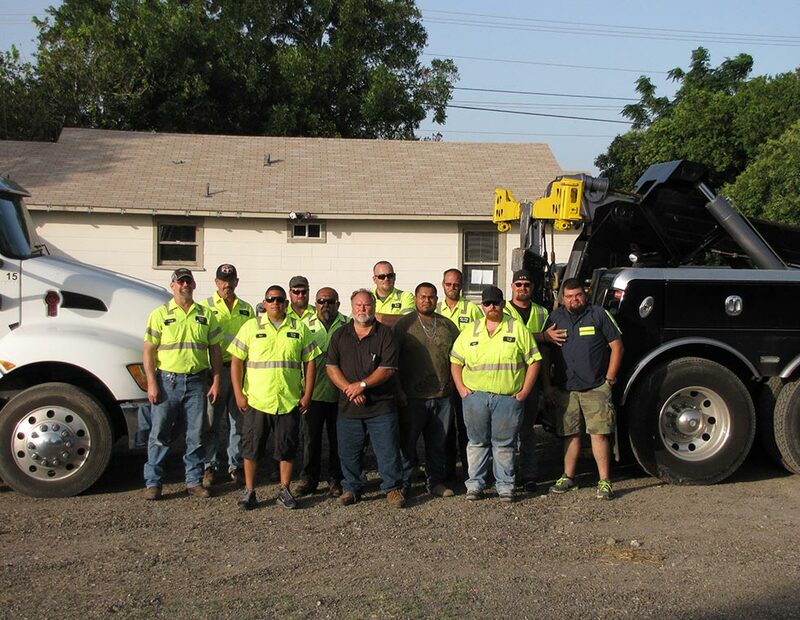 That means we place a premium on making sure you feel like family when you work with us. 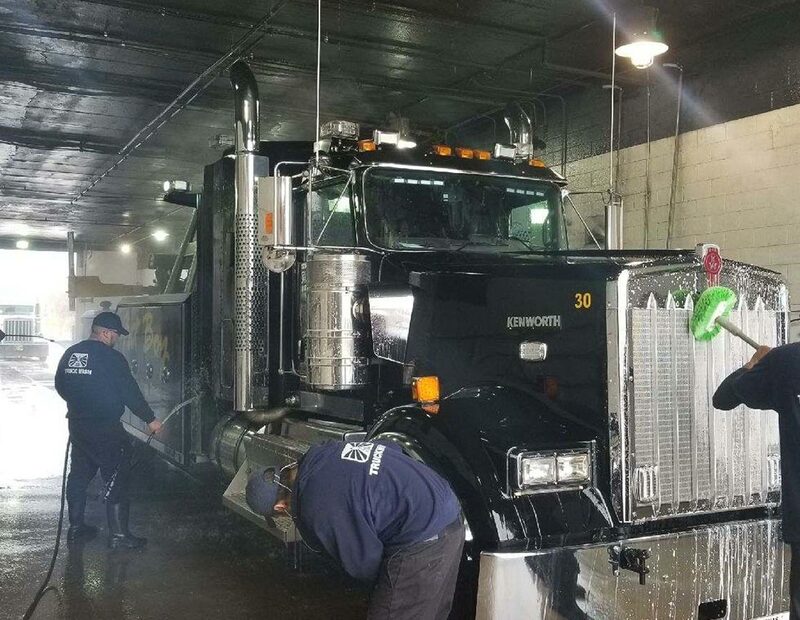 As “car people” before anything else, our clients can rest assured we will treat their vehicles with the scrupulous care and respect they deserve, all at the industry’s most competitive prices. 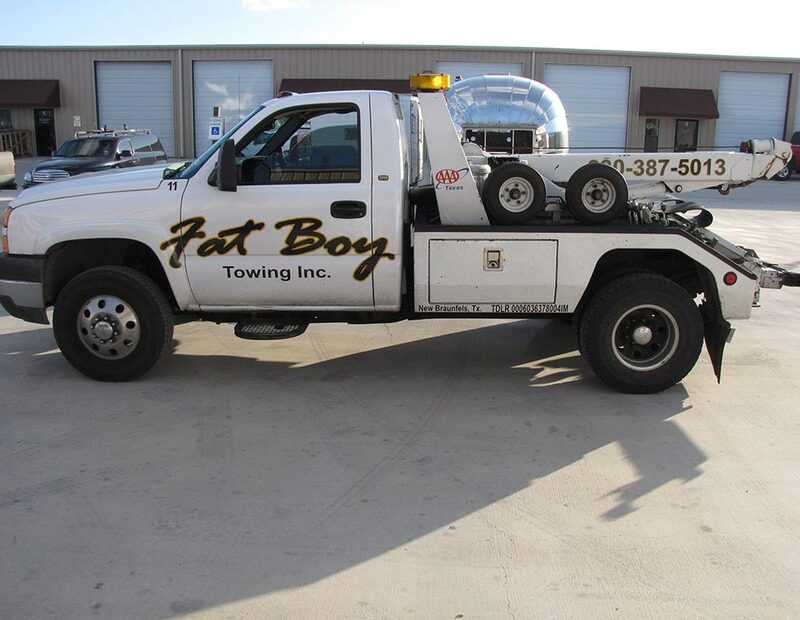 Call Fat Boy Towing and Transport today for the quality service you deserve. 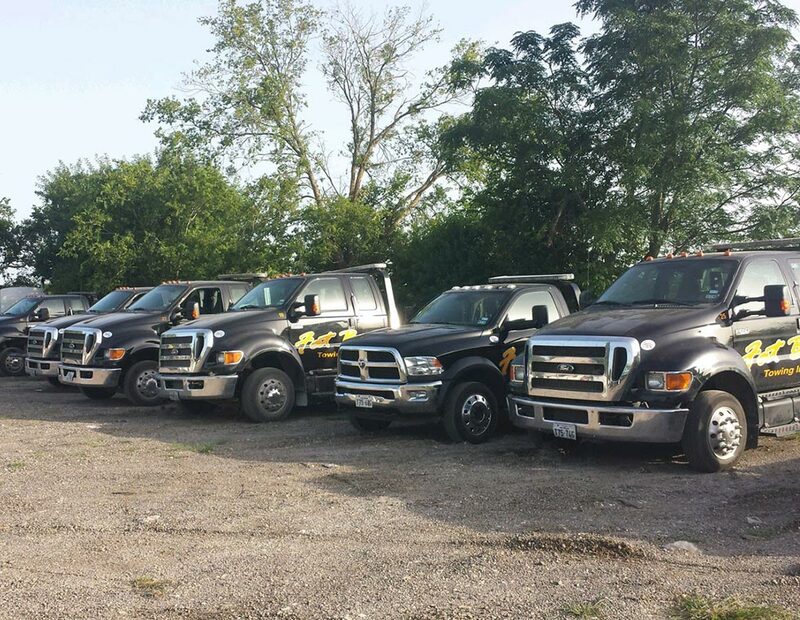 We offer live dispatch service 24 hours a day, seven days a week for the convenience of our valued clients. 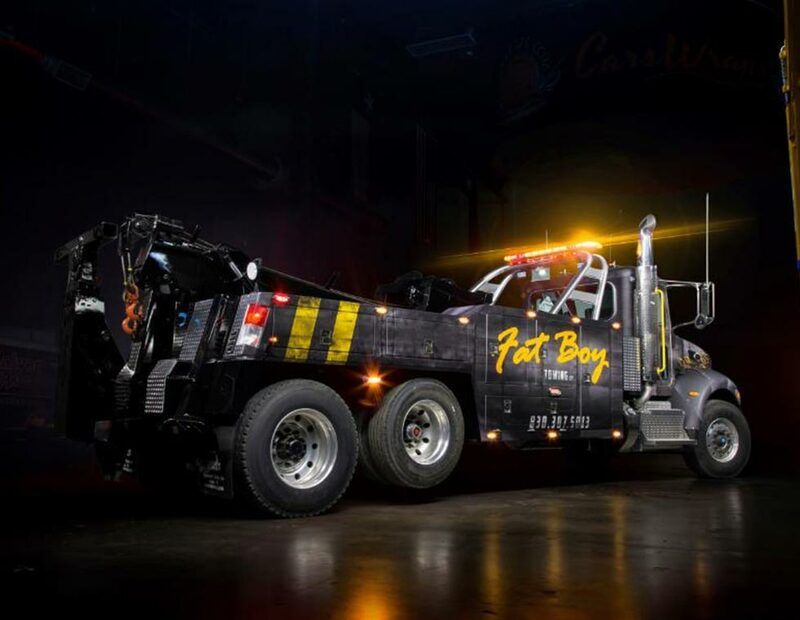 Whether you’re stuck on the side of the road during rush-hour traffic or in the dead of the night, we’ll be by your side at a moment’s notice to provide the help you need. 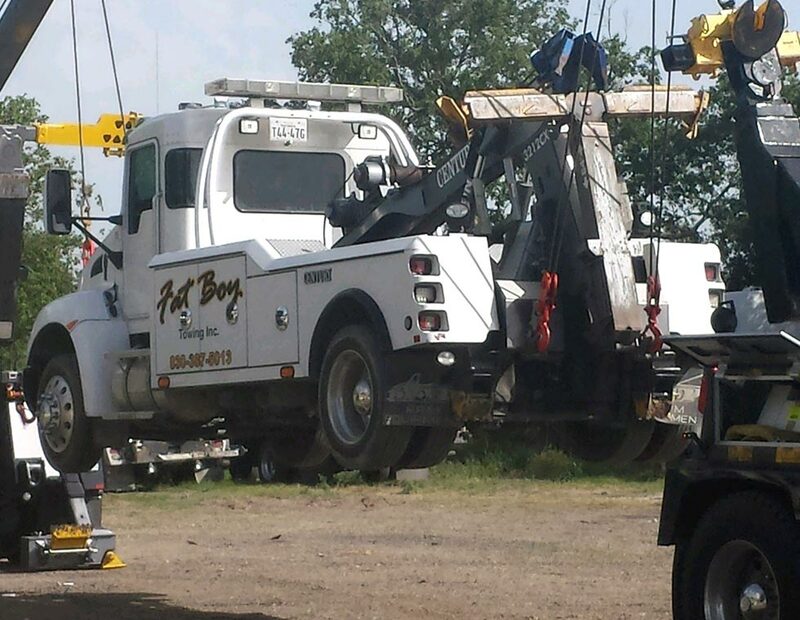 Our fleet of state-of-the-art equipment means that we can tow anything! 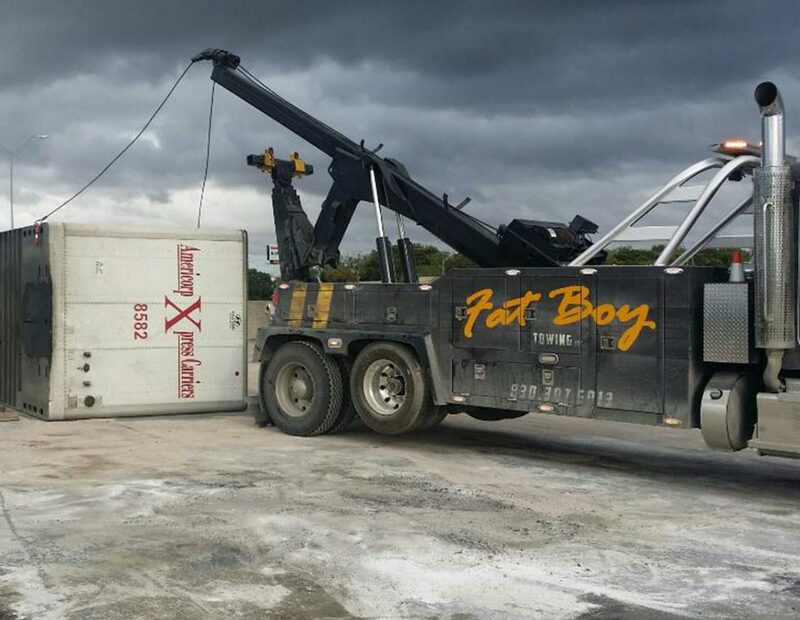 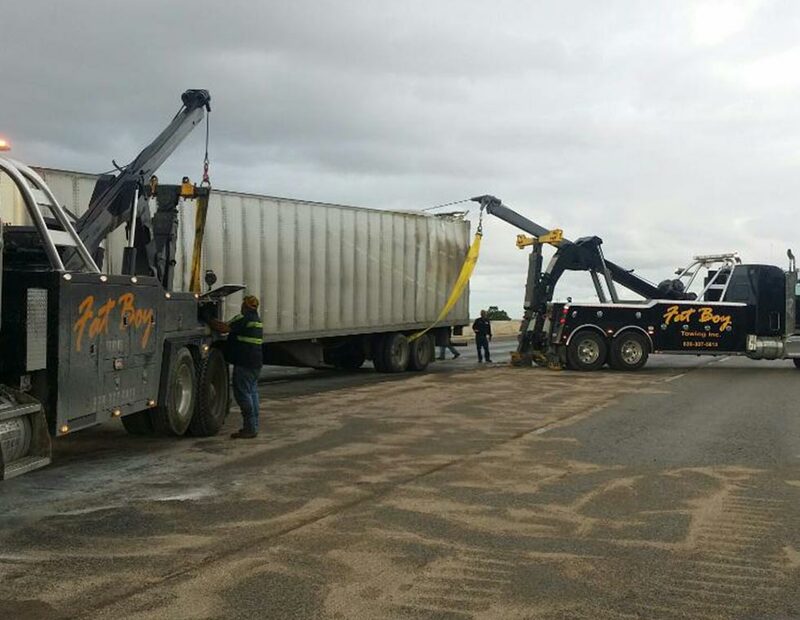 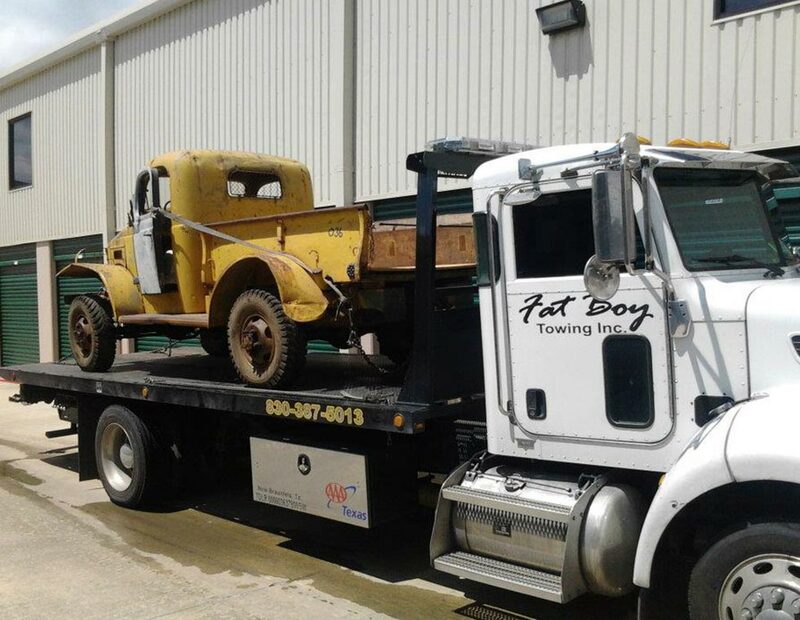 When we opened Fat Boy Towing and Transport in 1995, we set out with one humble but all-encompassing goal: to provide quality towing services to our area that treat each customer with dignity and respect. 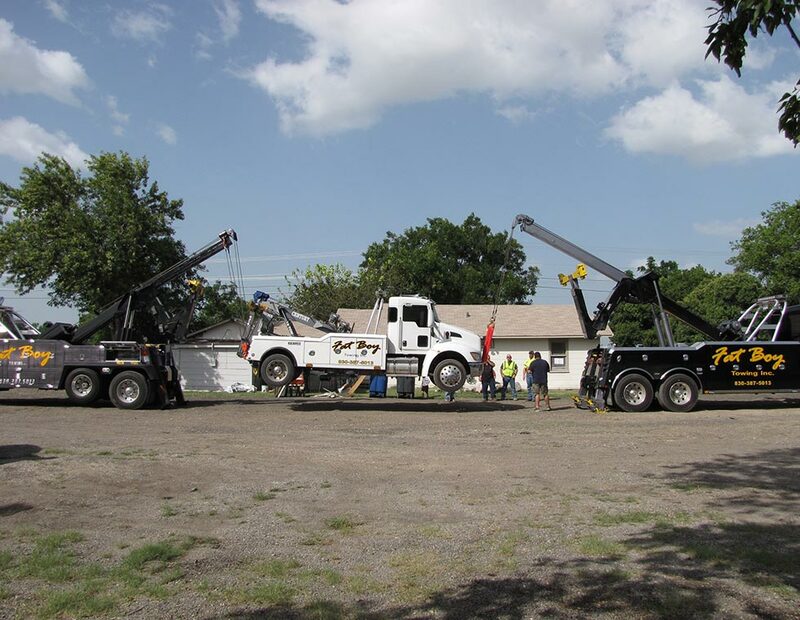 More than two decades later, we still stand at the forefront of our region’s industry, providing quality towing and transport services to clients from all walks of life. 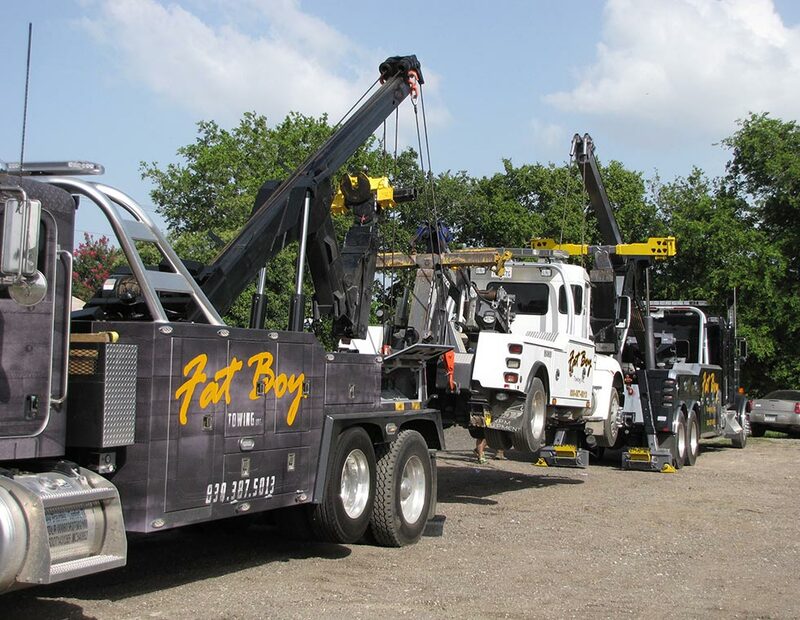 Whether you need light, medium or heavy-duty towing, we have the equipment and experience to provide the help you need. 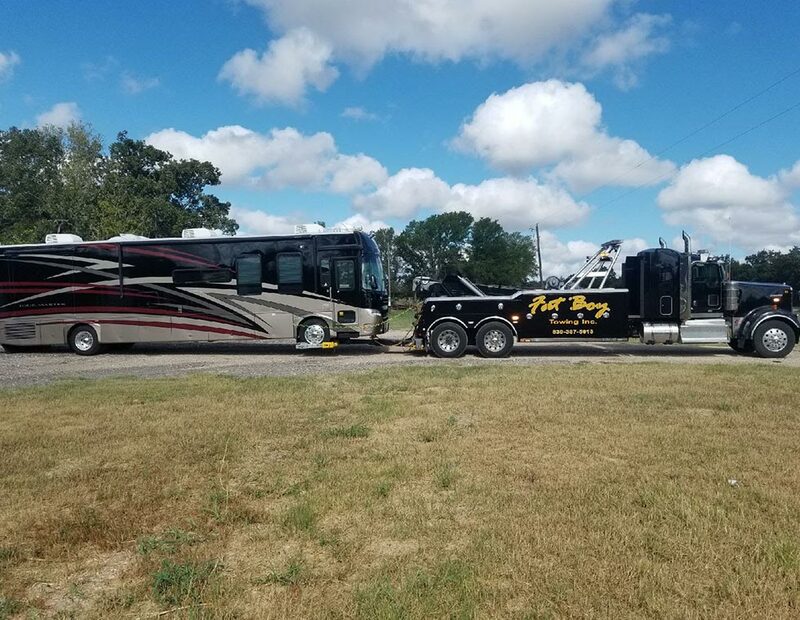 We work around the clock to make ourselves available to our clients 24 hours a day, seven days a week for all of their towing and transport needs. 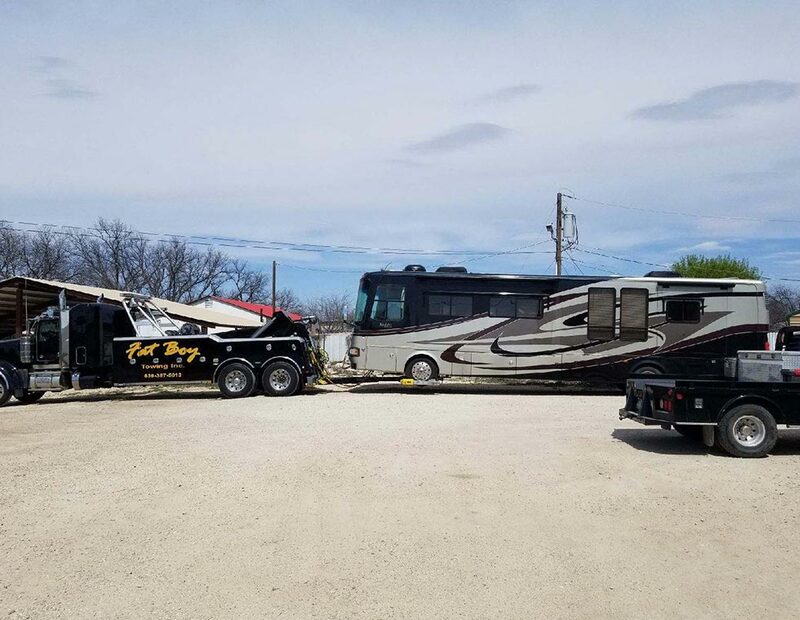 Our experts aren’t just trained, licensed and certified—they’re also just good people who understand the value of a customer treated right. 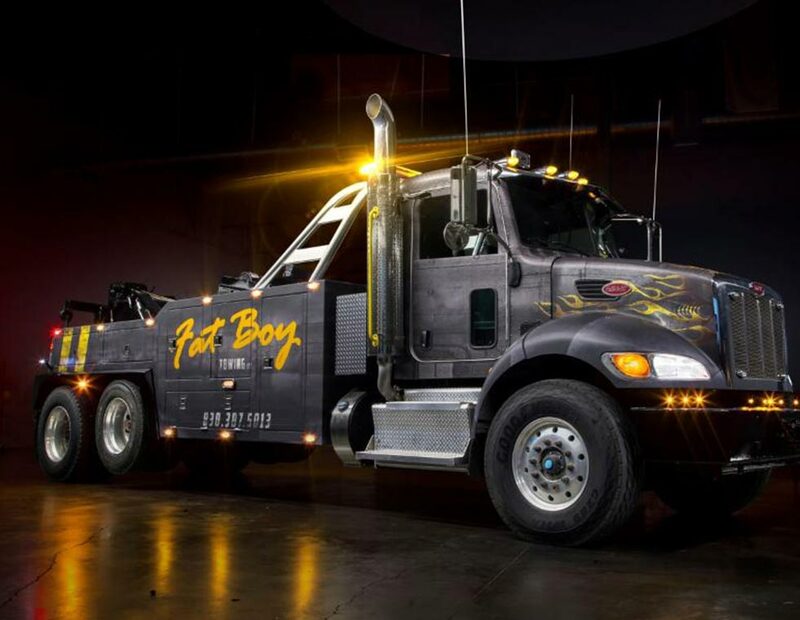 Simply put, Fat Boy Towing and Transport represents the very best this industry has to offer. 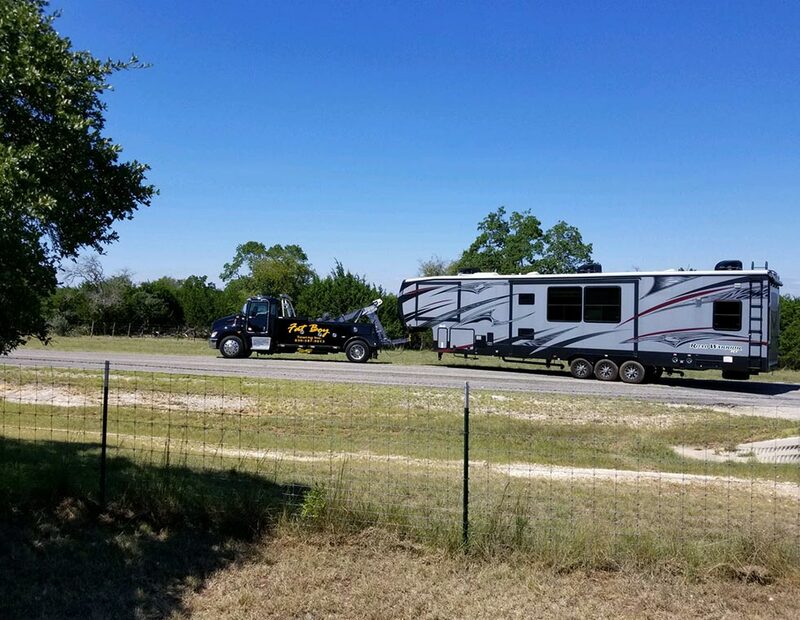 Just had my truck and trailer towed to Kerrville because we broke down. 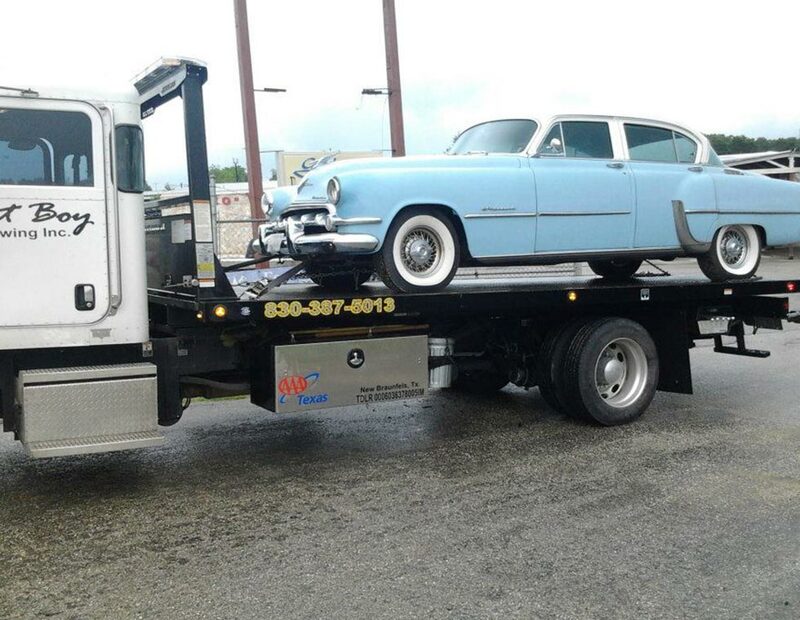 They had to bring two trucks so that they could carry myself, wife, two kids and a dog. 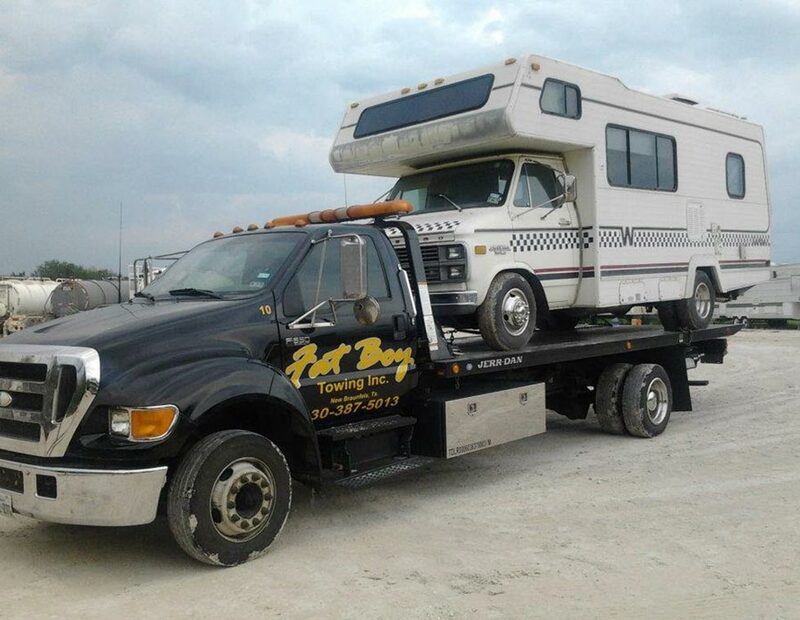 They were super nice and very helpful with all of our needs. 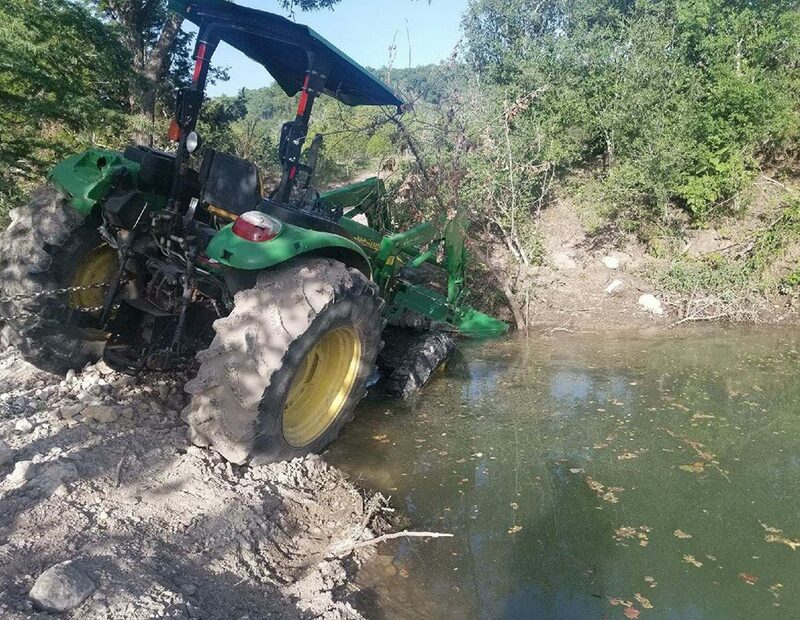 Completely went above and beyond! 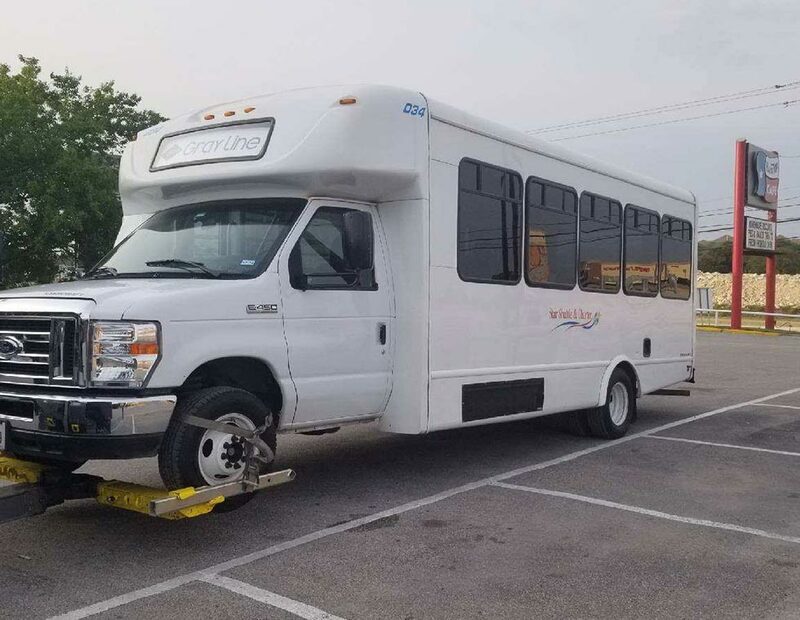 They even took us to the hotel. 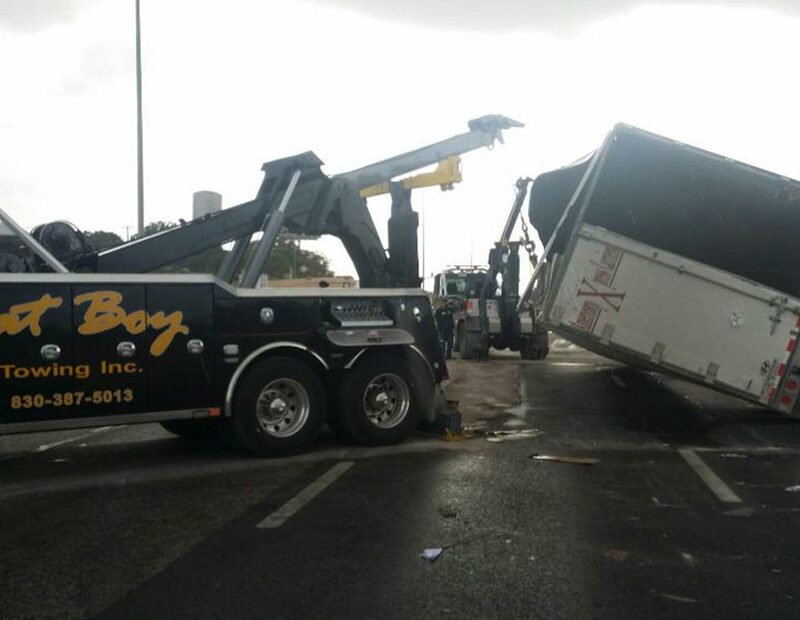 Thanks for the great service! 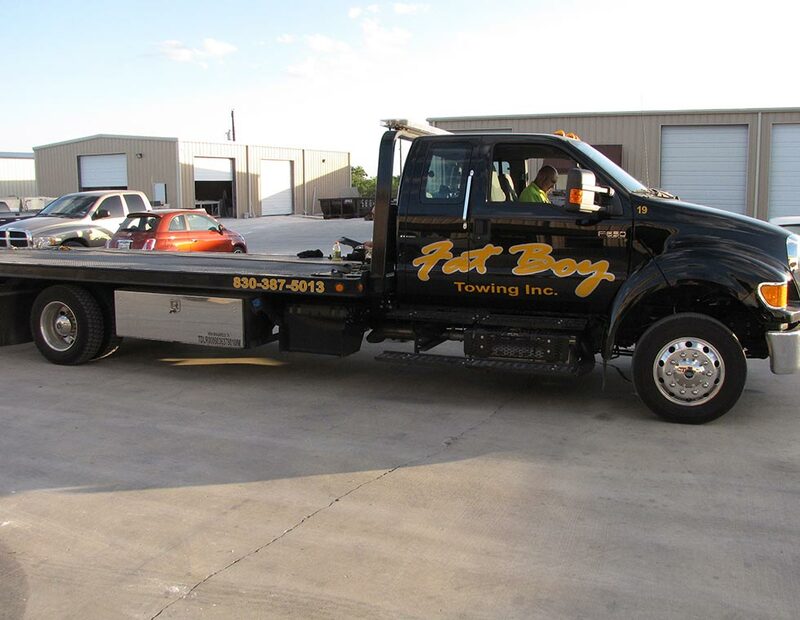 – Delbert T.
Aaron at Fat Boy Towing in Kerrville did an excellent job towing our car. 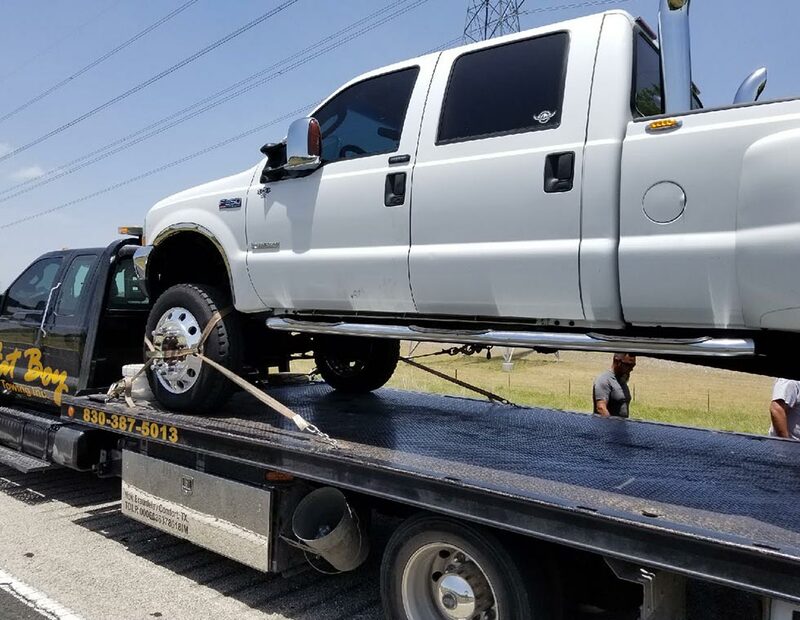 The truck was what we needed, and he came quickly. 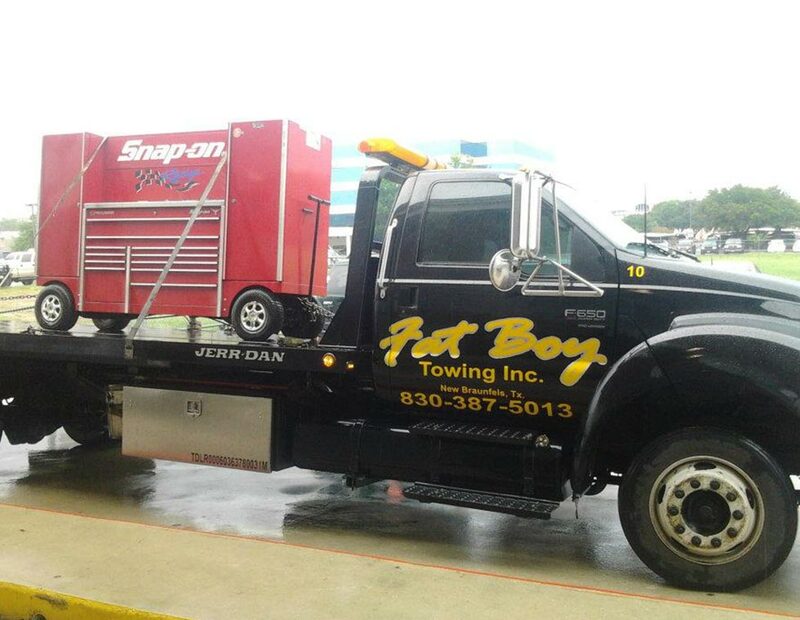 I had called Triple A for help, and Fat Boy Towing surpassed our expectations. 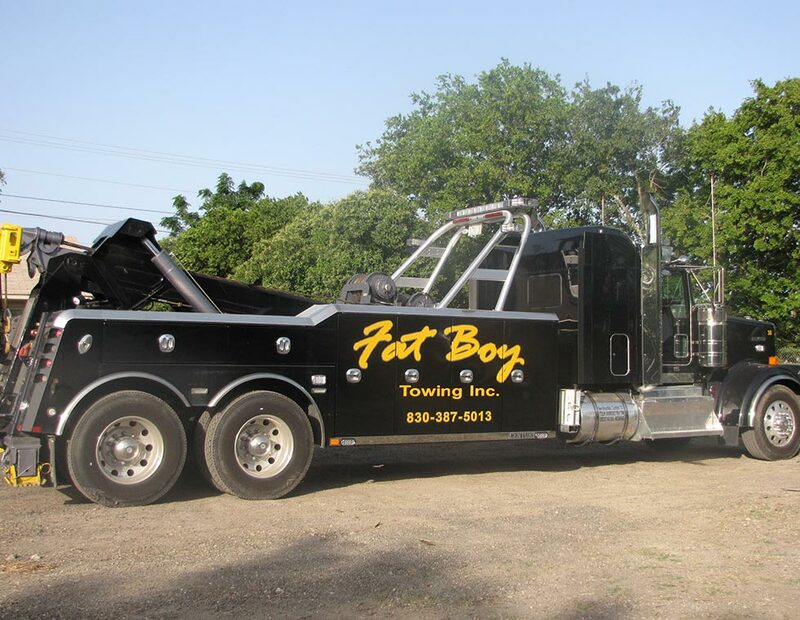 – Judy M.
Fat Boy Towing from Kerrville is fast, professional and obviously experienced. 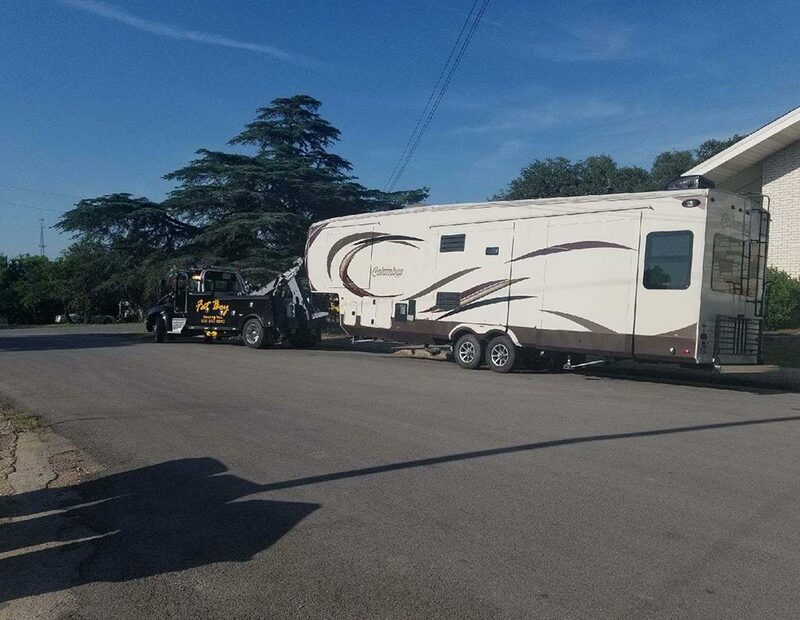 The guy that towed us was friendly and helpful. 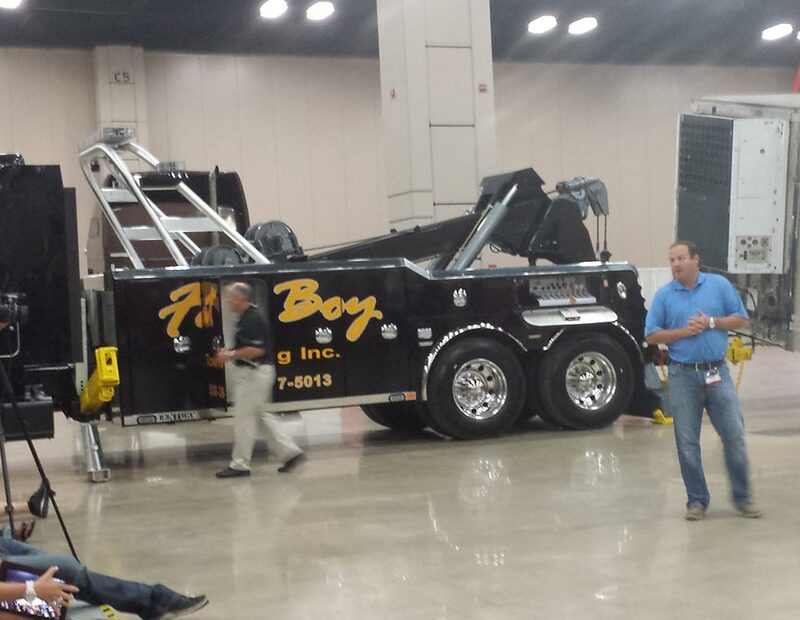 I highly recommend this company you will not be disappointed! 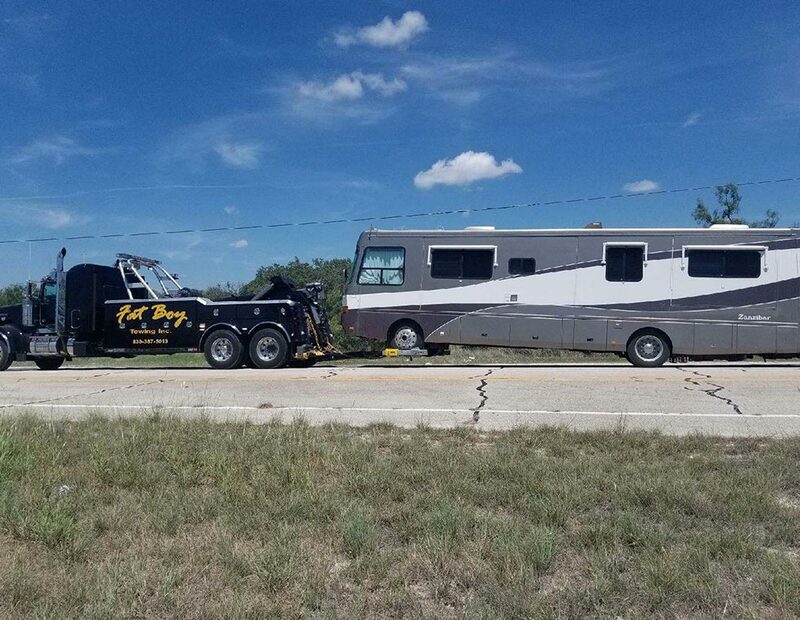 – Ryan D.